Close collaborations between movie directors and composers have been the lifeblood of cinema since the earliest days of the medium, from Alfred Hitchcock and Bernard Herrmann's landmark work on the likes of Psycho to Federico Fellini and Nino Rota's trendsetting lyricism in classics such as La Strada. When there is a close fusion and kinship between the moving image and soundtrack the result can be a spectacularly visceral enhancement of of the cinematic experience. However few partnerships are as celebrated or renowned as that between Steven Spielberg and John Williams, a truly formidable collaboration that encompasses such a rich wealth of classic cinema it's hard to know where to begin. From the earliest days with the Oscar winning Jaws through the adventurous highs of Indiana Jones, E.T. and Jurassic Park to the devastating sensitvity of Schindler's List and Munich, theirs is a longstanding friendship built on an acutely powerful understanding of what music can do for a movie. Consequently with every new project they work on, expectations increase exponentially; after all, a Spielberg/Williams score invokes a sense of prestige and class above and beyond the standard soundtrack. Spielberg is that rarest of directors who isn't afraid of prioritising or emphasing music in his films to convey further emotional meaning, and this combined with Williams' robustly intuitive sense of orchestral storytelling has made for some of the most iconic cinematic experiences of the 20th and 21st centuries. 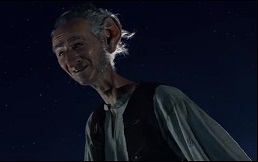 Therefore when it comes to their latest, Roald Dahl adaptation The BFG starring Mark Rylance and Ruby Barnhill, it's perhaps inevitable that an initial impression might verge on the underwhelming; however, in-keeping with many recent Williams scores it's one that demands and rewards repeated listenings. No longer a composer content with building everything around an immediately identifiable musical signature, Williams in recent years has been putting increasing emphasis on texture and tone, a la Tintin, War Horse and Star Wars: The Force Awakens. That's not to say he's abandoned the thematic approach for which he is so beloved; rather that the building blocks in his scores these days are relatively more discreet, taking more effort on the part of the listener to tease out. 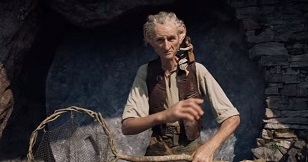 The BFG continues in this vein but it's a delightful experience nonetheless with some of the finest woodwind ensemble work heard in a film score in recent years (courtesy of Heather Clark), the instruments weaving and darting and hovering to conjure a uniquely mischievous sense of Dahl magic. The tone is immediately established in the piping and intricate 'Overture' whose featherweight interactions between strings, harp and winds call to mind Williams' hugely popular work on the Harry Potter series. The tone ever so slightly alters to a mood of Gothic menace in the second track, 'The Witching Hour', low register rumblings from the string and brass sections alternating with the lovely reveal of Sophie's theme on flute and piano. This delicate piece, a heartwarming representation of Barnhill's plucky and resourceful orphaned heroine, is the backbone of the score making notewworthy appearances in 'Dream Country', the tempestuous 'Sophie's Nightmare', 'Building Trust', the gorgeous 'Sophie's Future', 'Finale' and 'Sophie and The BFG'. As mentioned, it's not a Williams theme that immediately sticks in the mind but it's beautiful nonetheless. 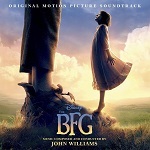 The turbulent and dark end to 'The Witching Hour' of course signals the moment where the BFG (played by Rylance), spotted by Sophie, whisks her off to giant country and the ensuing track 'To Giant Country' demonstrates Williams' formidable ability to manipulate his ensemble, breaking out the entire orchestral force to craft a sense of epic movement through time and space. The interplay between all facets of the music from the horns to the strings is quite wonderful: dramatically coherent yet tonally whimsical in-keeping with the story. In other words: classic Williams. 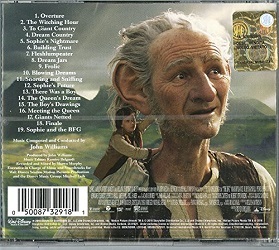 The score's highpoint occurs in the next track, 'Dream Country', a theme for the elusive dreams that it's the BFG's mission to capture: a piece of Williams wonderment that darts and dazzles across the course of 10 wonderful minutes whilst interweaving with Sophie's theme, it's effervescent, melancholy and heartwarming, the perfect depiction of the two lonely yet kind-hearted souls at the centre of Dahl's story. The flightly woodwind and harp sections, with distinct influences from Tchaikovsky's seminal Dance of the Sugar Plum Fairy, also at times call to mind other classic Williams pieces like 'Yoda's Theme' from The Empre Strikes Back or 'Dartmoor 1912' from War Horse. Later tracks like 'Snorting and Sniffing' very much continue in this vein. 'Fleshlumpeater' introduces what might be described as the score's villainous theme for the BFG's human bean-eating nemeses. A mock-menacing piece for tubas and other assorted brasses, it's a surprisingly tongue-in-cheek depiction of some of author Dahl's most foul creations, hearkening back to the burglars' material in Home Alone. 'Frolic' continues the sense of comical threat as does the somewhat darker tone of 'There Was a Boy' (underscoring one of Dahl's grisliest story moments, only alluded to in Spielberg's version) and 'Giants Netted'. More memorable is the return to the dream material in the enchanting 'Dream Jars', featuring more spellbinding woodwind material that's subsequently reprised in 'Blowing Dreams', 'The Queen's Dream' and the aforementioned end credits suite 'Sophie and the BFG'. The final piece of the puzzle is the secondary theme for the British Queen, played to scene-stealing effect in the movie by Penelope Wilton; although it has minimal presence in the movie itself (Williams' score replaced by several classical staples), on album its rousingly patriotic presence makes for enjoyable listening in 'The Queen's Dream', 'The Boy's Drawings' and 'Meeting the Queen', all brass fanfares, pomp and circumstance that speak of the quintessential Britishness inherent in Dahl's story. 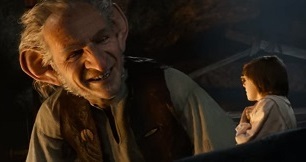 Yet as with the movie itself, the real sense of heart resides in the relationship between the BFG and Sophie, and when everything resolves to gorgeous effect in the climactic 'Finale', it's hard not to feel the lure of that classic Williams magic. As ever, he is miraculously able to humanise and ground the more fantastical conceits of the movie he is scoring, conjuring exactly the right sort of tone and melody to help pull us further into what we're seeing. As much as anything else, it's Williams' collaborative nature with the likes of Spielberg and others that has secured him as a legendary figure of music, a keen dramatist always respecting a filmmaker's vision yet always looking to enhance it as well. 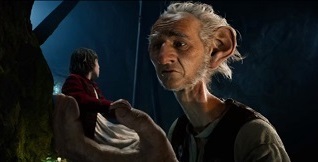 The BFG may be a relatively minor work as far as Williams is concerned, but its artistry, craft and sheer level of class put it in a completely different league to everything else. The score is available as both a CD release and MP3 album, via these links at Amazon.co.uk and Amazon.com.